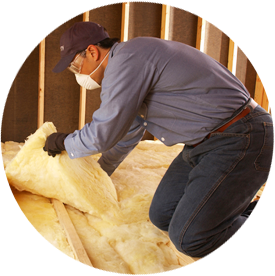 If you need an insulation company in the southeastern Virginia area, Tidewater Insulators can help. We work with homeowners and builders/contractors to insulate subflooring and crawl spaces for residential retrofit and new construction projects. Schedule your floor insulation project in Norfolk or the surrounding areas today—fill out the form in the sidebar or give us a call at 757-828-0024. If your subfloors aren’t properly insulated, your home isn’t as energy-efficient and comfortable as it could be. Different types of insulation are ideal for insulating subflooring—talk to your local insulation company for your specific home. The Tidewater Insulators team installs retrofit (re-insulation) and new construction crawl space and subfloor insulation. We have experience with installing different types of insulation in subflooring and can handle all your needs. No matter your needs, you’re in good hands with our team. If you’re in the Tidewater Virginia area, make Tidewater Insulators your first call! We have experience installing insulation in crawl spaces and subfloors, and our professionals use only high-quality materials from leading manufacturers. Get in touch with us to learn more about our insulation services or if you’re ready to start your project—call us at 757-828-0024 or contact us online!